Dr. Albert Y. Leung is an internationally renowned pharmacognosist (a scientist who specializes in botanical medicine) and author. Born and raised in Hong Kong, he holds a B.S. in Pharmacy from the National Taiwan University and M.S. and Ph.D. degrees in Pharmacognosy from the University of Michigan. Dr. Leung is one of a handful of scientists in the world who has the unique training, experience and knowledge to correctly identify botanical raw materials and to produce genuine high-quality traditional extracts using modern technology. For 30 years, he has been an advocate of product quality in the herbal industry, and is known for his no-nonsense approach, clearly reflected in his publications. He is Editor of Leung’s (Chinese) Herb News, a newsletter that has, since 1996, positively impacted research and product quality in the herbal field. He is the founder of Phyto-Technologies, Inc. and Earth Power, Inc. He was raised in Hong Kong under the holistic practice of traditional Chinese medicine (TCM), recognized for over 3,000 years for its benefits to billions of Chinese people. Dr. Leung combines TCM wisdom with appropriate Western scientific methodologies when conducting research on Chinese herbs and in their formulation and manufacture. He is the creator of PhytoChi®, an extraordinary proprietary blend of 16 authentic herbs traditionally well known for their beneficial health and balancing effects. He is also the developer of RBRM’s™ (Representative Botanical Reference/Research Materials) – an essential first-step requirement in the research and manufacture of truly traditional Chinese medicines. International Advisor to the Modernized Chinese Medicine International Association (MCMIA), an international body headquartered in Hong Kong. Co-editor of American Herbal Products Association’s (AHPA) Herbs of Commerce, 2nd Edition, a publication recognized by the FDA for the labeling of herbal supplements. 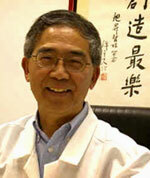 Co-Chairman of AHPA's Chinese Herbal Products Committee. Professional Advisory Board of the Herb Research Foundation established to review, evaluate and disseminate information on herbs. Cosmetic, Toiletry and Fragrance Association’s (CTFA) International Nomenclature Committee (INC); Chairman of Subcommittee of Botanical Nomenclature; established to review and assign names to new cosmetic ingredients. Grant recipient (Principal Investigator) — National Center for Complementary and Alternative Medicine, National Institutes of Health, Department of Health and Human Services. This 3-year grant is being used to reveal the secret of feverfew leaf’s ability to prevent migraine headaches. Technical advisor to major nutritional and herbal supplement companies. Recipient of 2011 Alumni Distinguished Lifetime Achievement Award from the College of Pharmacy, the University of Michigan, for contributions to the advancement of herbal medicine, especially in traditional Chinese medicine.